RISAConnection is a useful program designed to assist engineers in finishing steel structures by creating welds and connections between the elements. The program uses a visual approach but you can also enter data by editing the design spreadsheets. 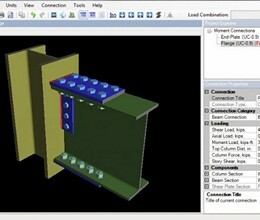 You can use the program to inspect the design in a 3D view and to modify the dimensions in the 2D panel. Both views can be exported and printed in order to use them in your project documentation. RISAConnection takes the complexity out of calculations by listing explicitly the calculations and the code check values. 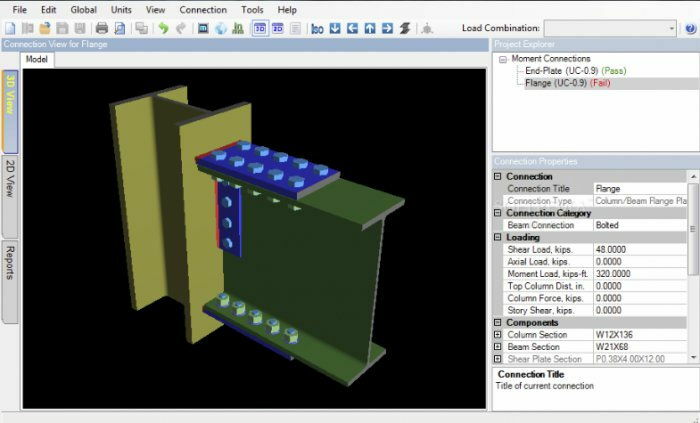 Review your results in an easy-to-read report or inspect the connection in a 2D shop drawing-style drawing. * RISAConnection download link provides demo version of the software. RISAConnection has been rated 4.0 out of 5 points. A total of 1 votes cast and 0 users reviewed the software.